“The conservation field needs greater diversity to become even more successful,” said Erika Zavaleta, UC Santa Cruz professor of environmental studies who conceived of the UCSC-based version of the conservation scholars program. 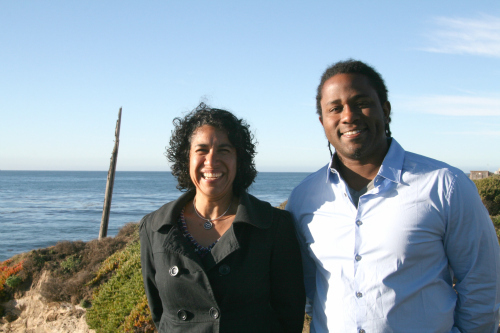 UCSC will use its long-established strengths in conservation, experiential learning, and educating first-generation college students and students of color as it recruits 20 exceptional students nationally each year over four years for intensive hands-on field experiences. The campus joins the University of Washington, Northern Arizona University, University of Florida, and the University of Michigan in administering the program. Conservation scholars will take part in two intensive eight-week summer programs. The first will begin on the UCSC campus and later extend to UC Natural Reserve sites. The second summer will include eight-week internships with nationally known environmental conservation organizations. Students will also join together for a multi-day mid-winter retreat. Zavaleta said the grant helps achieve the goals of the Coastal Sustainability Initiative of the Campaign for UC Santa Cruz, which has raised approximately $215 million to date. Land, water, and wildlife conservation face great challenges but also hold great opportunities, Zavaleta said. One challenge is the tendency for conservation initiatives to exclude or be foreign to large segments of the population. To find the best students, UCSC will partner with other organizations including Santa Cruz-based SACNAS: Advancing Chicano/Hispanics & Native Americans in Science. Outreach will include direct contacts with 50 top colleges and universities, all four-year tribal colleges, and 25 minority serving institutions including schools in Guam, Puerto Rico, Alaska, and Hawaii. “The goal is to revitalize conservation, take fresh ideas, remake the field to speak to all of us,” Zavaleta said. The program will partner with NGOs and public and private conservation organizations for the summer internships. Scholars will be paid a stipend of $500 per week for the eight-week summer field course and the eight-week summer internship. Program staff will work with students to identify mentors at each student’s home institution to link to the program year-round. Another objective is to build a sense of community and belonging among diverse conservation leaders through a “Scholars for Life” approach to retain and advance alumni by sustaining supportive mentor and peer relationships during their early careers. It will emphasize cultivating tools essential for career success, including leadership, innovation, entrepreneurship, and communication skills. The program is quintessential UC Santa Cruz practice, based on immersion, inquiry- and experience-based learning, and multi-disciplinary. “We explore not just the science, but also the art and the heart of conservation,” Zavaleta said. Program leaders will include lecturers from the humanities to augment the inquiry-based-science focus of the field course. A UC Santa Cruz graduate has been hired as the program’s first director. He is Justin Cummings, most recently a post-doctoral researcher at Florida International University. He earned his Ph.D. at UCSC in ecology and evolutionary biology in 2013 and completed undergraduate work at Eastern Illinois University with degrees in Spanish and biology. Zavaleta and Cummings traveled to Northern Arizona University in Flagstaff, Ariz. earlier this month to begin planning the recruitment process. Recalling her own experiences in discovering conservation as a life’s work, Zavaleta said the program is about revitalizing conservation and connecting people to their passion.